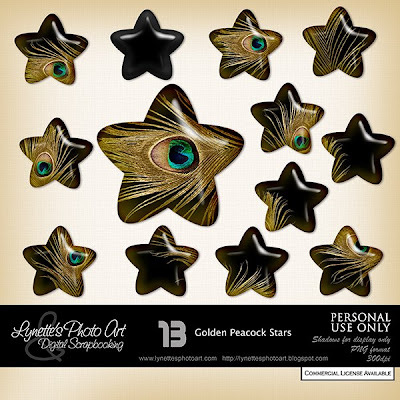 There are 13 chubby and luscious stars in the Golden Peacock Stars Kit. Click the image to enlarge. Click the Buy It Now button below the preview to purchase from my PayPal store for $1.99. Today I'm giving you a star to sample. 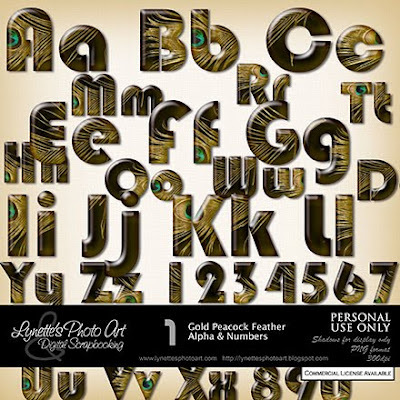 SPECIAL OFFER: For $1 more you can have both the stars and this matching alpha with numbers and punctuation!